Experience dining and social events in an unmatched setting. Enjoy the best view of the Capitol Dome as well as lunch, dinner and cocktails while unwinding on our patio. Entertain 12 to 125 clients, family and friends for any occasion in our fully furnished private dining rooms. 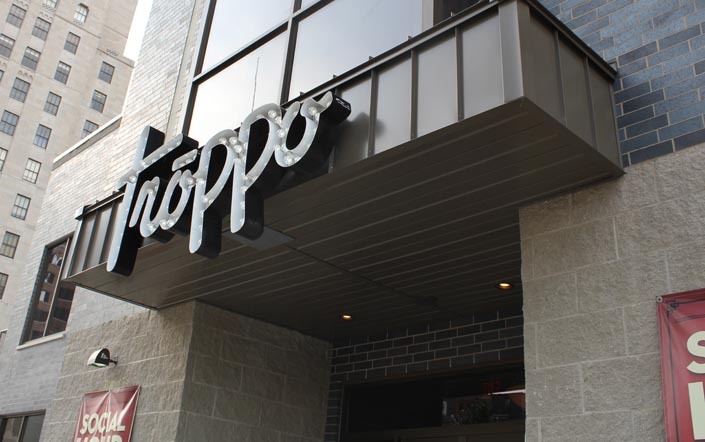 Troppo is adorned with dark wood and rich colors accented by cool, vintage photographs of "old" Lansing to provide a warm, sophisticated environment.